No, not that Dark Side. Though I hear they have excellent cookies. Today we have another mashup by Mashin’ Jams, who keeps finding songs that work with Try Everything better than they ought to have any right to. This time, the fusion is with Kelly Clarkson’s “Dark Side”. I especially like the combination of “I messed up tonight” with the theme of having a dark side. It fits both musically and thematically. Well done! Give it a listen for yourself after the break! ZNN Spotlight #1: The Twist of Trashasaurusrex! Wow…Try Everything in a minor key. It sounds like a ballad lamenting good efforts gone bad. 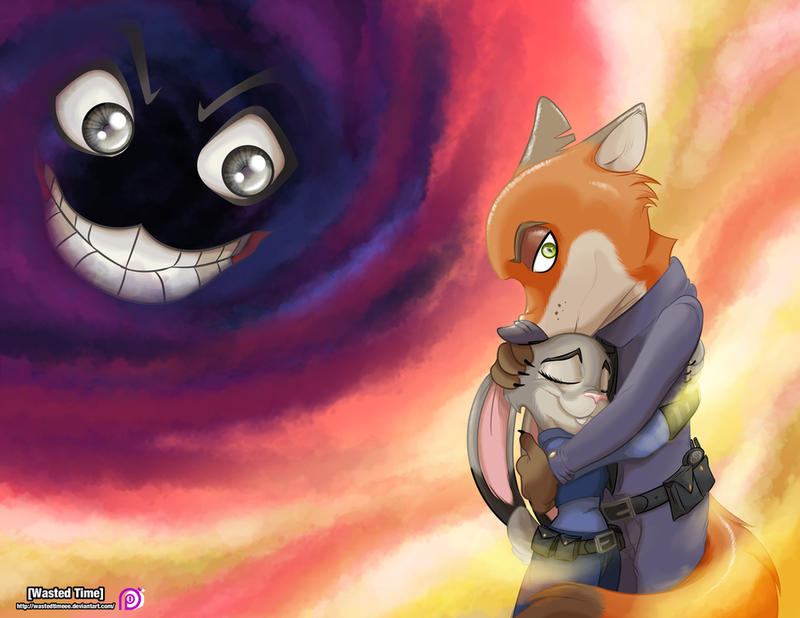 This is the soundtrack of Judy's sadness after leaving the ZPD to become the carrot farmer she thought she was fated to be because of her failure.